• A maestro doesn't micromanage, but encourages others to develop their own solutions. There's a big difference between conducting and trying to play all the instruments. • A maestro helps people feel ownership of the whole piece, not just their individual parts. 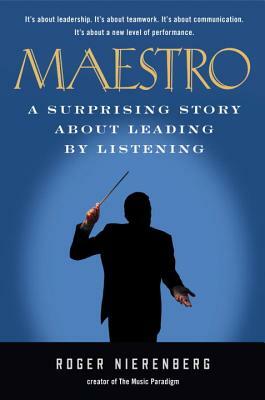 • A maestro leads by listening. When people sense genuine open-mindedness, they offer more of their talent. If not, they get defensive and hold back their best ideas. • Truly great leaders, whether conductors striving for perfect harmony or CEOs reaching for excellence, act with a vision of their organization at its best. Roger Nierenberg is a highly successful conductor who has performed with some of the most distinguished orchestras in America and Europe. Through his interactive program, the Music Paradigm, he has taught hundreds of top companies around the world how to improve their leadership skills and teamwork.